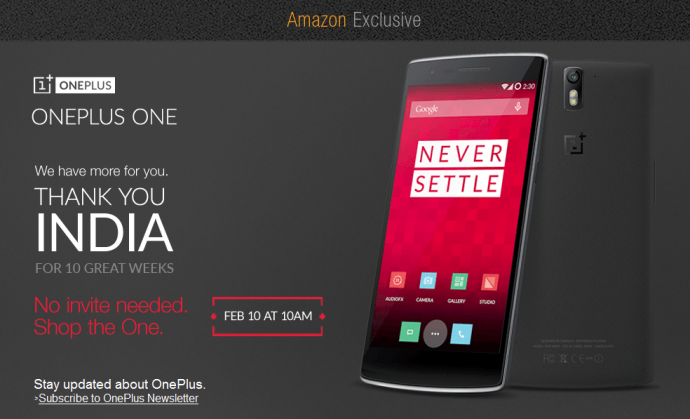 All OnePlus One fans, hold your breath. 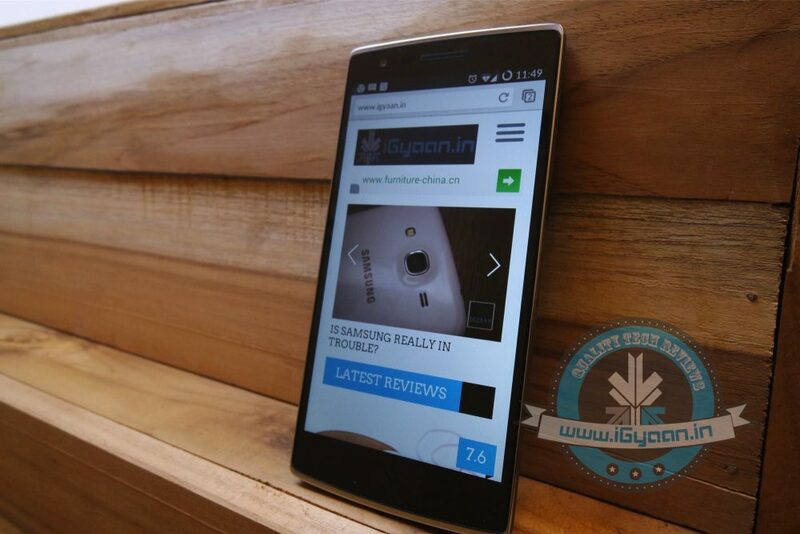 The flagship killer is going on open sale tomorrow on Amazon India. The handset will be available without an invite on 10th February and the sale will kick off at 10am IST. The open sale is to celebrate the 10 brilliantly successful weeks of OnePlus in India. The same can be confirmed through the Amazon India website that reads – No invite needed. Shop the One. There is no announcement about the number of units going up for sale, however, the company has hinted limited stock with the statement ’till stock lasts’. Amazon India egged the willing customers to hurry with the statement, “The sale would be for limited quantity which is expected to run out quickly given the high demand for the phone.” The flagship One will be available for Rs. 21,999 for the 64 GB model. OnePlus embarked on similar sales in other countries, but Indians haven’t had the opportunity to buy it without an invite. It’s the first time the One smartphones are going on open sale in our country.